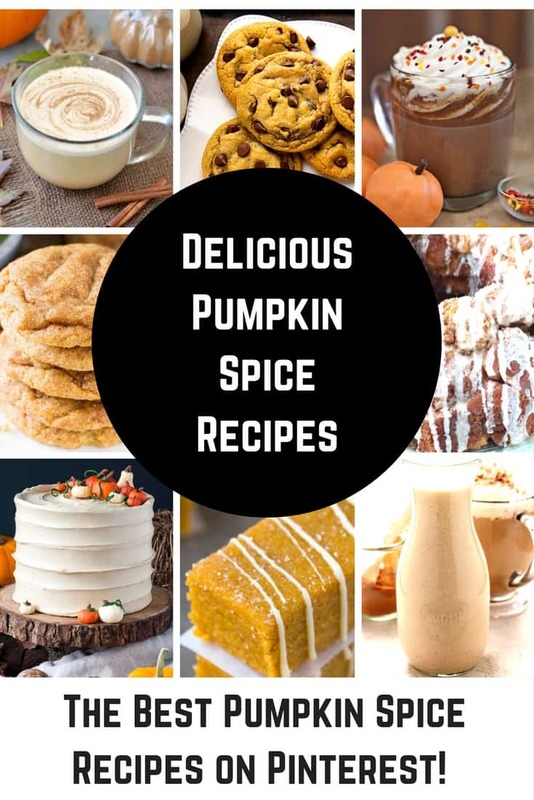 Best Pumpkin Spice Recipes - These Fall recipes will rock your world! 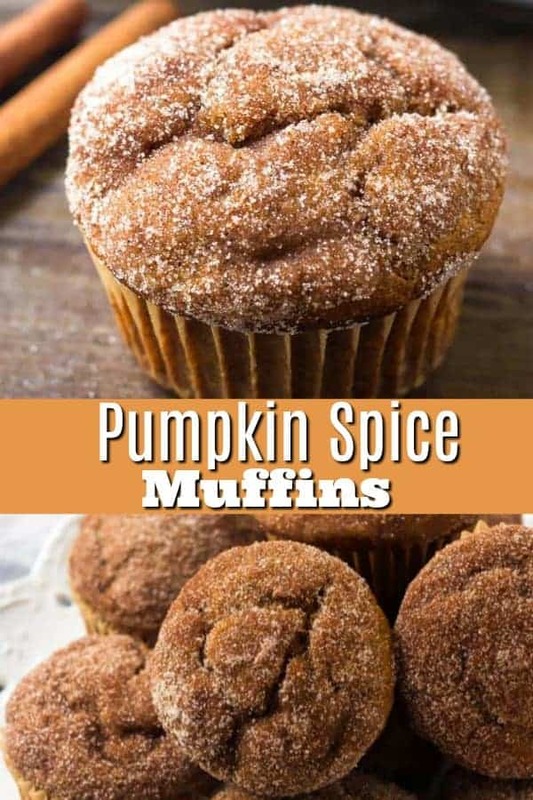 Pumpkin spice recipes are taking over the world! From Pumpkin spice cookies to martinis to butter – these Fall recipes will rock your world. 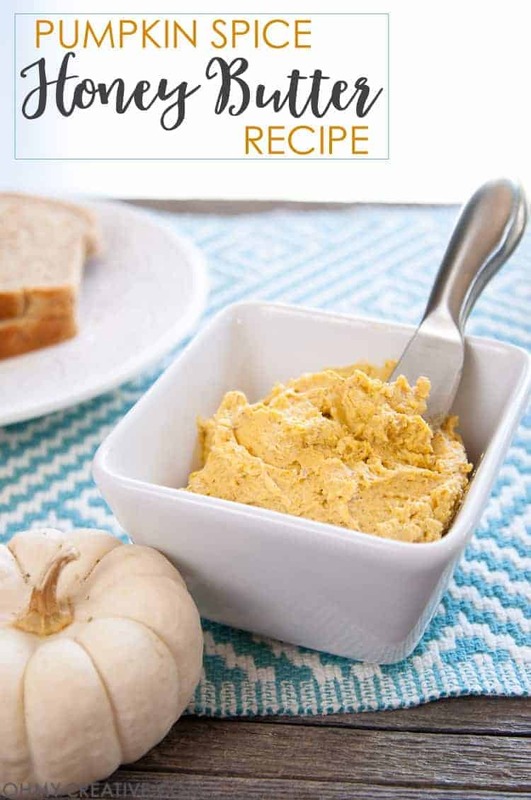 I love everything about pumpkin spice recipes and how they are shaping how we look at fall. When I was growing up, when I thought of fall, leaves and scarecrows always came to mind. Now, I always think of pumpkins and their delicious bounty. Could it be that all things pumpkin are king? I think so! Pumpkin spice began making its way onto the scene years and years ago, but now that we use it in drinks, it is making quite a splash. 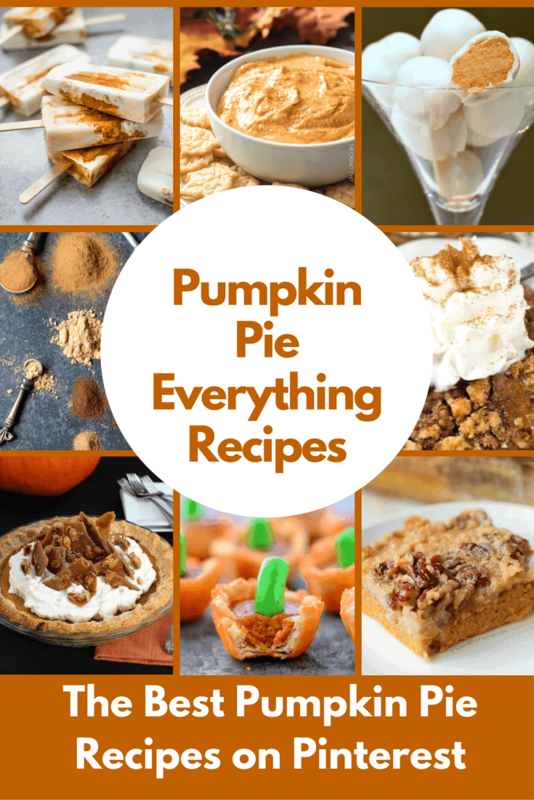 I see all sorts of pumpkin spice recipes everywhere! From cakes and cookies to delicious lattes and coffee creamers, pumpkin spice is now more popular than ever. I even saw a post on Facebook where they featured a pumpkin spice hot dog. A little extreme, but sweets and drinks that are flavored with pumpkin spice are calling my name! Love it! Pin It to your favorite recipe board on Pinterest and SAVE it! You know you are ready to make a delicious fall treat now that you are armed with these fabulous ideas. These pumpkin spice muffins are perfect for fall. So moist, filled with pumpkin, and topped with cinnamon sugar. 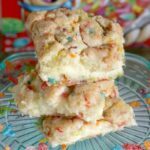 Not only are they crazy delicious, they are a super easy dessert to make too! 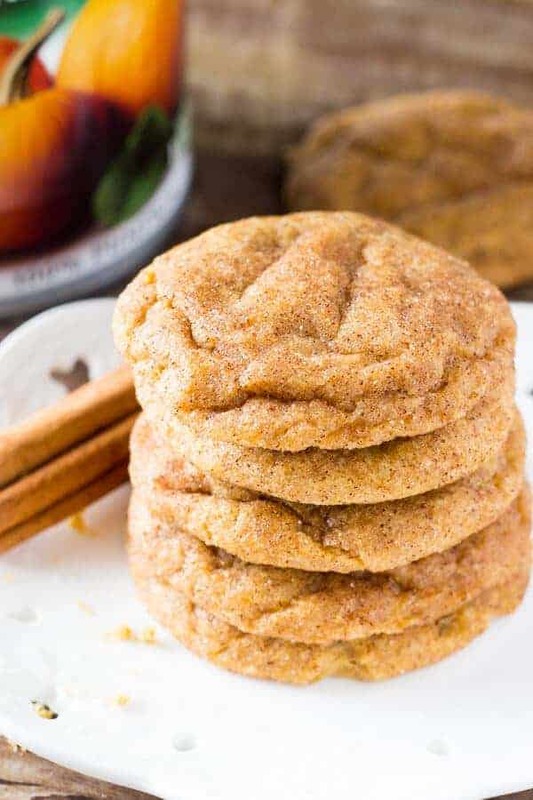 This simple recipe for Pumpkin Spice Cookies from Just So Tasty will have you craving Fall. I love that fall spices are a feast for the eyes, smell amazing and are sure to tempt your tastebuds! Sugar Hero has my number. I simply adore truffles. They are delicious and always feel like an indulgence. I can’t wait to try out their pumpkin spice hot chocolate truffle recipe. 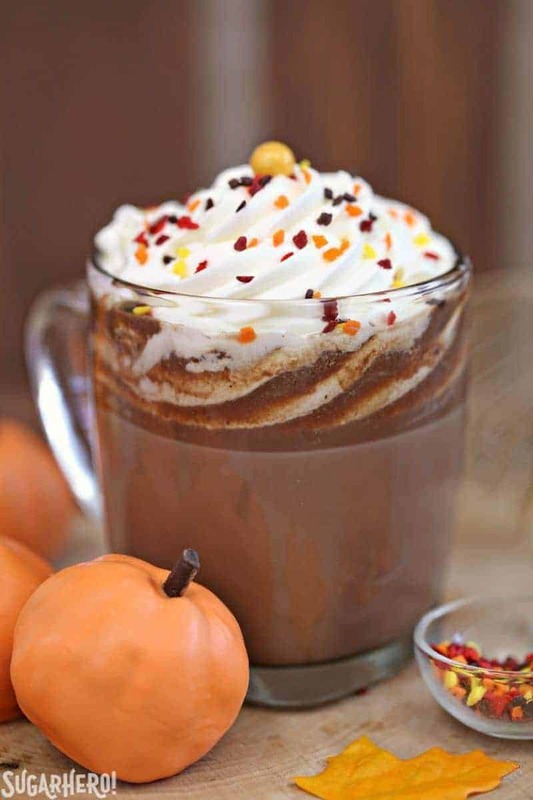 Hot chocolate, pumpkin spice, truffles… a trio of fall delights! Pumpkin spice cheesecake. Even just writing it has me drooling. Have you ever tasted a treat like this? It is on my list! 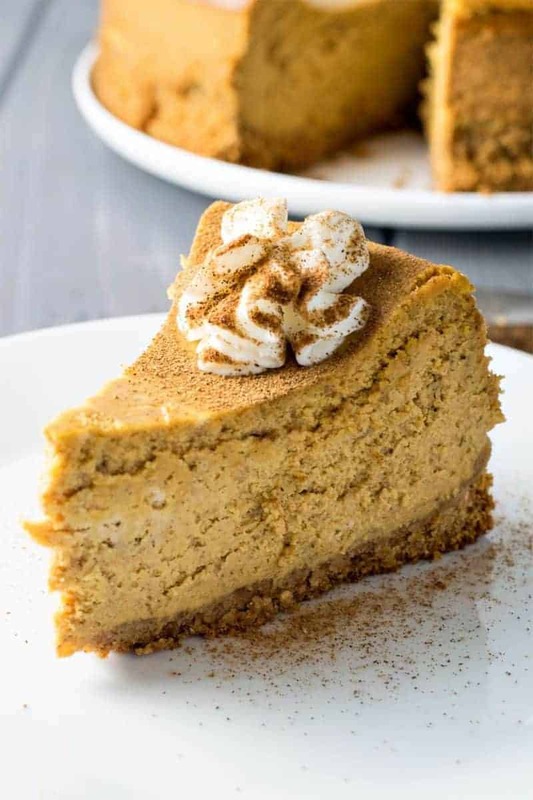 Homemade Hooplah shared this delicious pumpkin spice cheesecake and it has been pinned over and over again. It is a new spin on a classic and it is just crying for me to make it. 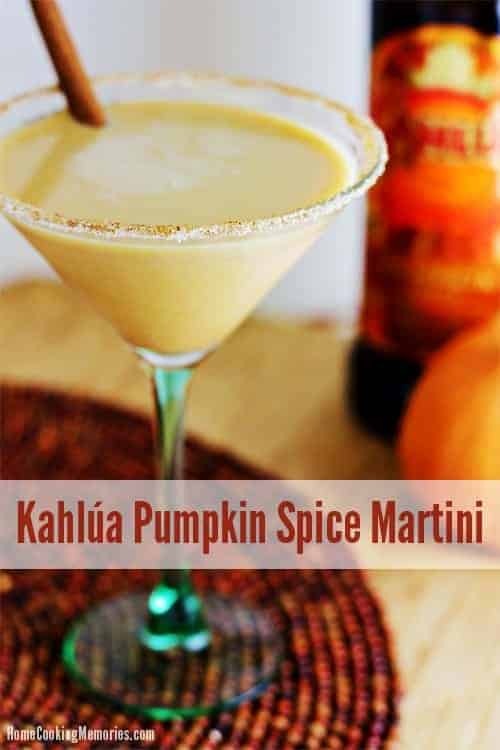 I love a good seasonal cocktail and this Kahlua Pumpkin Spice Martini by Home Cooking Memories is no exception. It blends a silky smooth Kahlua liquor with my favorite spice for fall. I think I need to host a party to share this yummy recipe with some of my girlfriends. I love a delicious pumpkin spice latte. What could be better you ask? 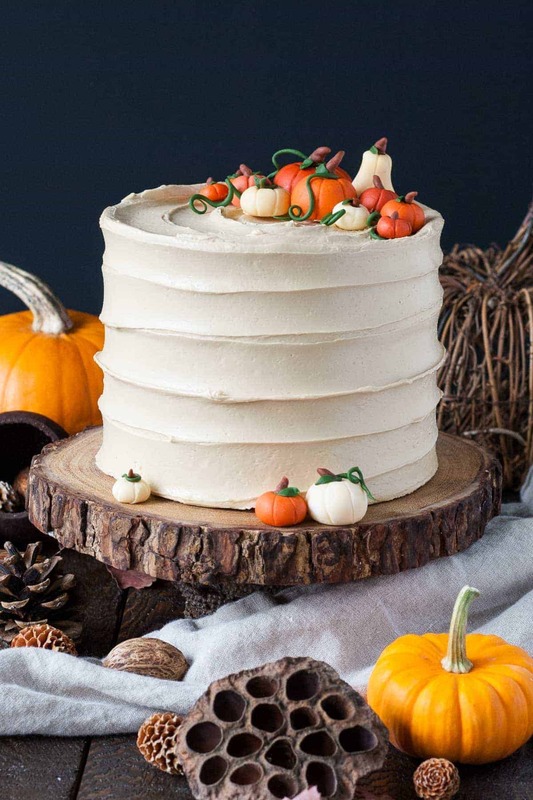 A pumpkin spice latte cake. Liv for Cake whipped up this beauty and not only is it beautiful, the flavor pairings could not be more delicious! Just look at those stunning pumpkins on top! This is a masterpiece. 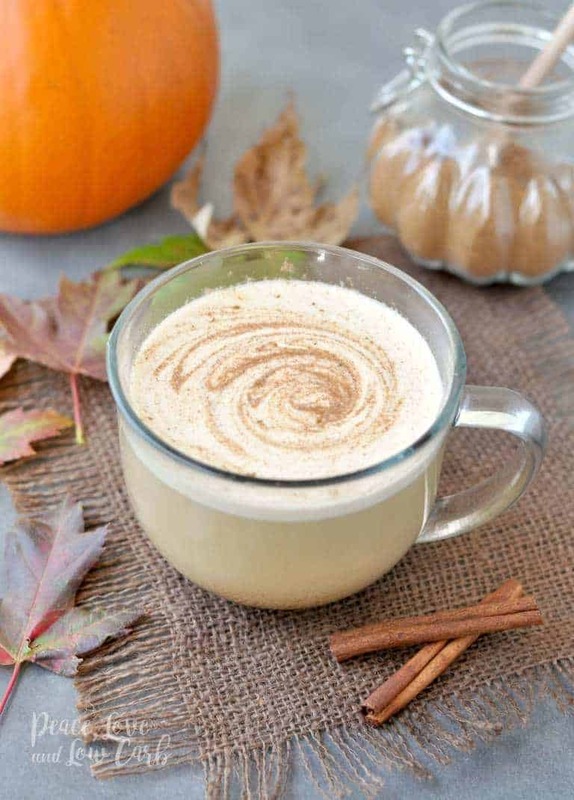 Speaking of pumpkin spice lattes… this is a yummy and low carb recipe for a pumpkin spice latte from Peace Love and Low Carb. This recipe is the perfect mesh of healthy and yum. Try this out as a substitute for a Pumpkin Spice latte from your favorite coffee shop. Your pocketbook will thank you! I love monkey bread. It is always a hit at my house and I am constantly looking for a good spin on a monkey bread recipe. 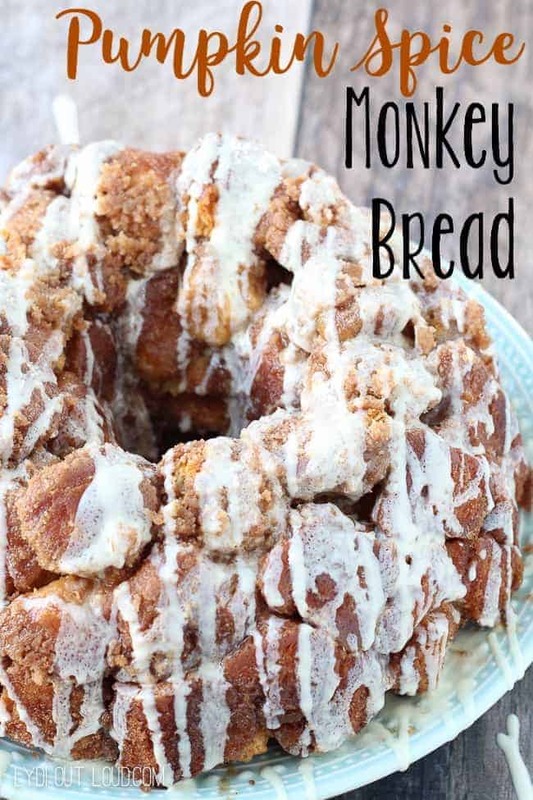 I LYDI Out Loud shares her recipe for pumpkin spice monkey bread with a cream cheese glaze and I am hooked! Just look at all of that glaze dripping from the cake. I want to make this for my family soon… they will love me even more! Some people are just so creative and they come up with recipes I would have never dreamed of making. Oh My Creative has blended up this delicious Pumpkin Spice Honey Butter and I think it is pure genius. This is a great way to wow your dinner guests or to just enjoy your favorite bread even more. I’ve found that when creating a recipe, you have to try and try again sometimes to make it perfect. 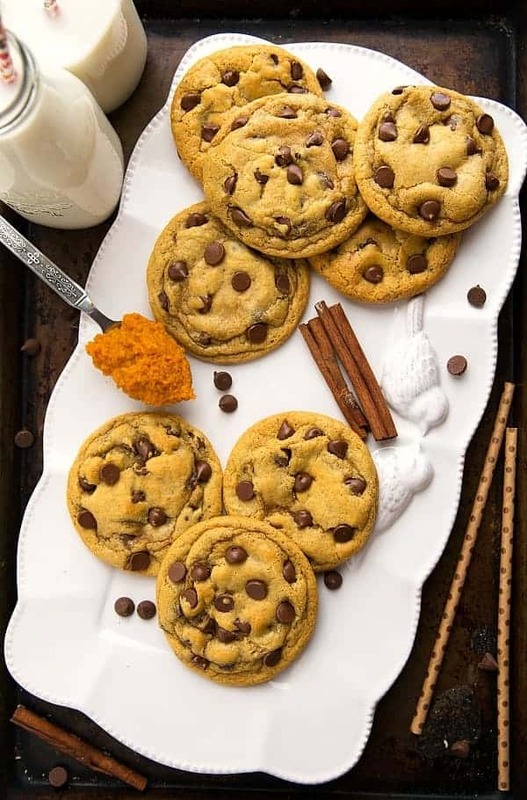 When Chelsea’s Messy Apron set out to make these pumpkin chocolate chip cookies, it went exactly this way. She was raised on a chewy, cakey pumpkin chocolate chip cookie, but she wanted something a little different. She tried and tried and finally came up with the perfect, crisp pumpkin chocolate chip cookie. Great things take time my friends. They are always worth it! I think that the pumpkin spice craze was made famous by adding a pumpkin spice flavor to warm drinks. 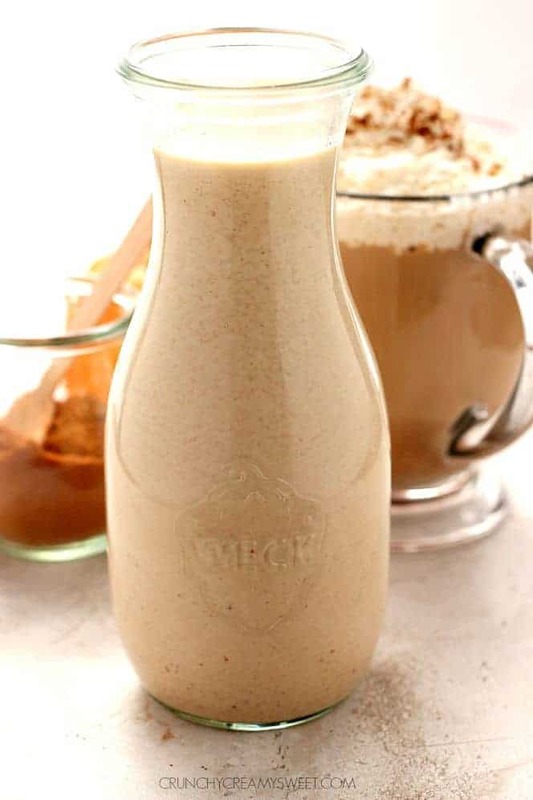 Crunchy Creamy Sweet shares her version of a pumpkin spice creamer made from home and it looks to die for. I think my favorite part is that it makes a fancy drink totally accessible and affordable. I always prefer to have one less errand to run to get what I’m craving and this brings delicious drinks right to your kitchen in just a few simple steps. Anyone else love a yummy, but no-bake treat? Me, me! There is just something so freeing about whipping up a special treat that does not require me to be chained to an oven for hours. These no-bake pumpkin spice latte bars by The Big Man’s World are yummy and healthy. We can have it all… a healthy and delicious fall treat! Be sure to check out these delicious fall recipes, too!